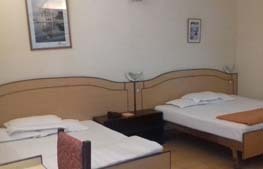 Well furnished rooms in the hotel are incorporated with all the facilities that are needed for a hassle free stay. All bedrooms are flooded with natural light, some with the added advantage of private balconies overlooking our unique private gardens. The delightful decor of each guest bedroom is enhanced by the thoughtful addition of a luxurious marble bathroom, trouser press, hair dryer, remote control color television with satellite International channels, radio and world wide direct dial telephone. 24 hour room service is naturally available. Carefully designed with flexibility in mind, with unique air conditioned Conference Rooms, versatile Syndicate Suites, and magnificent dining and entertaining facilities, The Hotel is extensively equipped to satisfy a wide range of Conference & Banqueting requirements. Whenever you find a few moment to relax, you will discover just how special we make those moments seem for you. So discover a sweet blend of diverse influences & make your stay memorable in Doon Valley with Hotel Atithi . 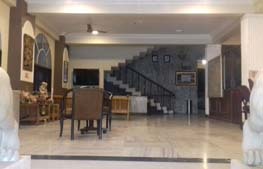 Hotel Atithi is designed to cater to a cosmopolitan clientele and located at a peaceful place at Doon Valley.